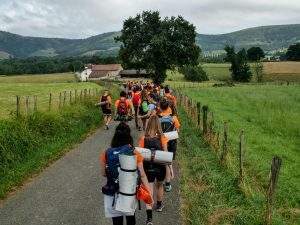 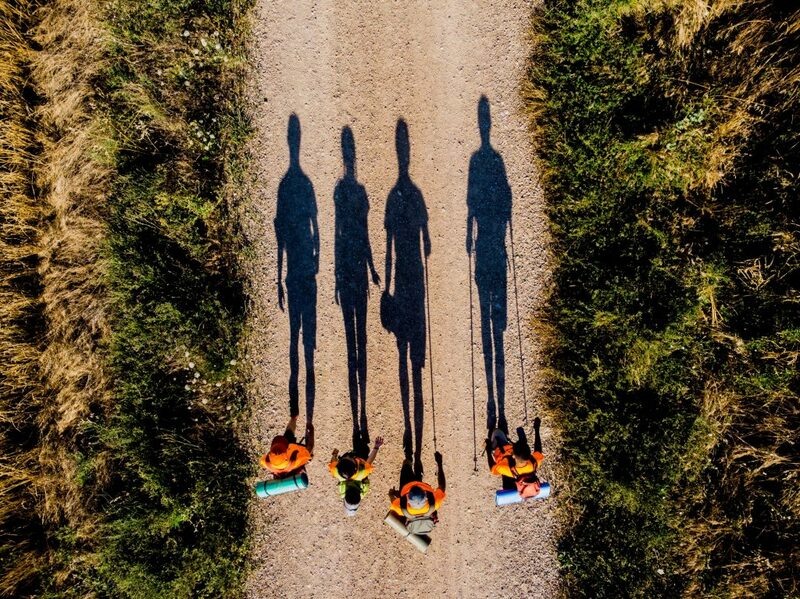 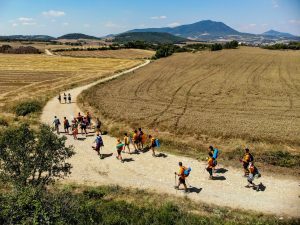 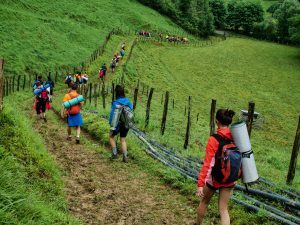 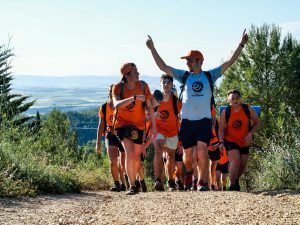 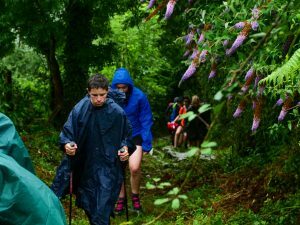 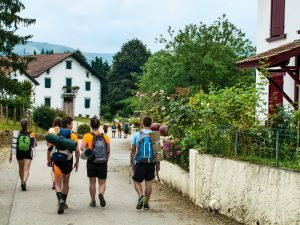 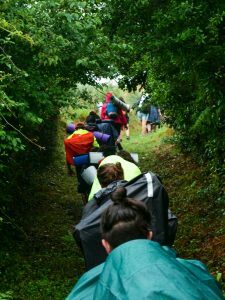 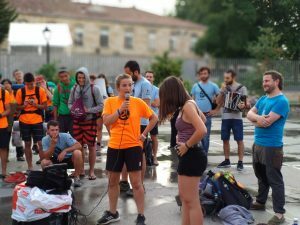 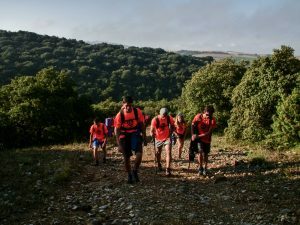 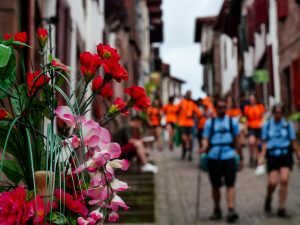 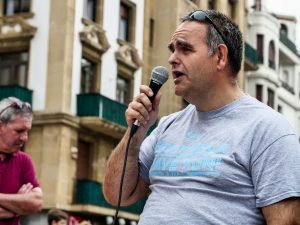 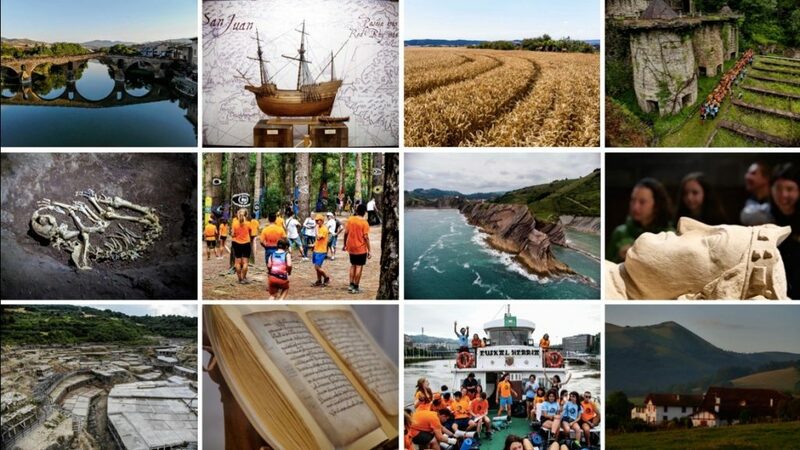 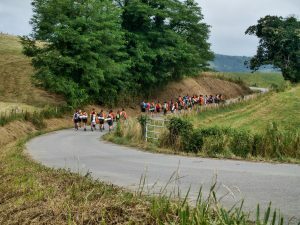 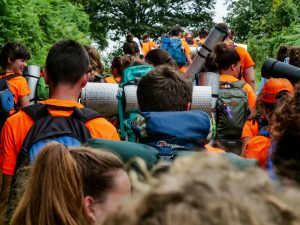 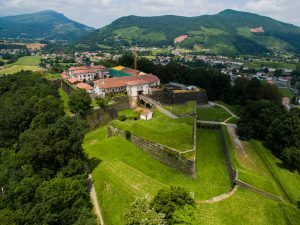 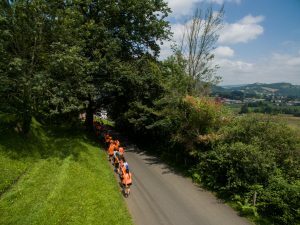 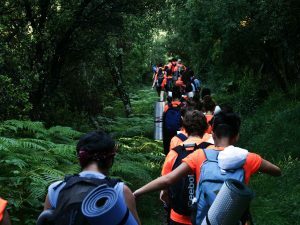 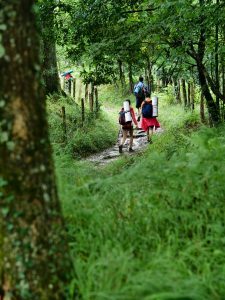 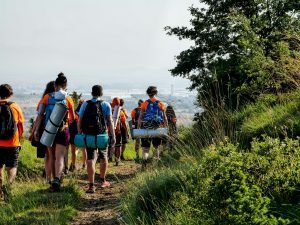 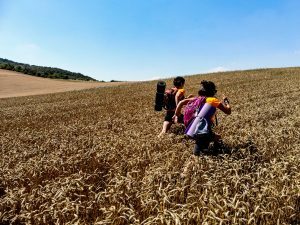 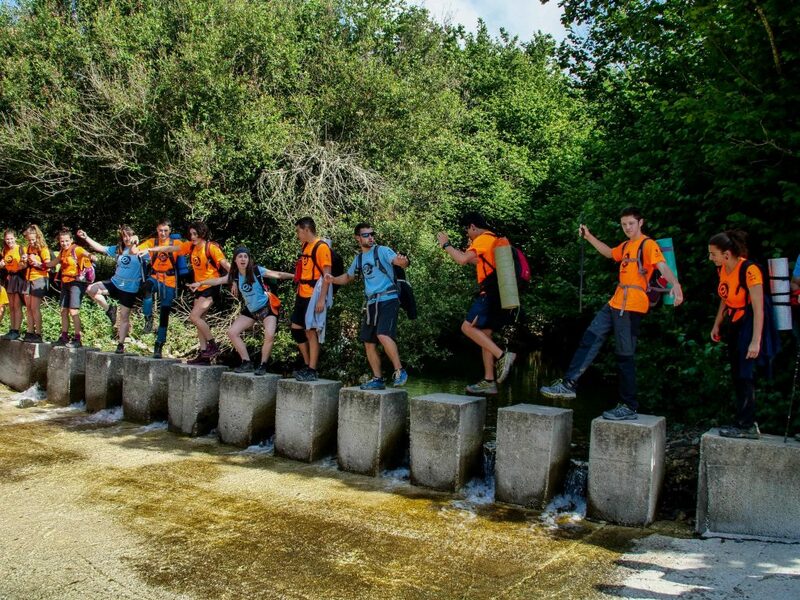 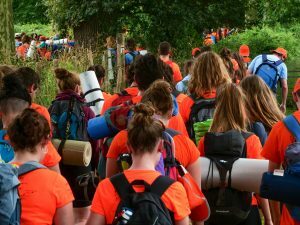 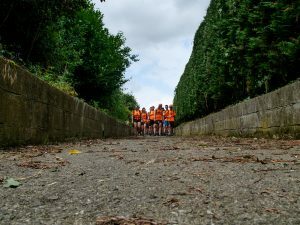 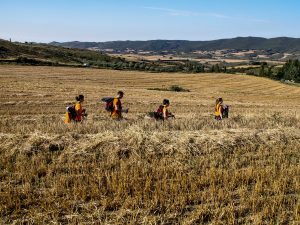 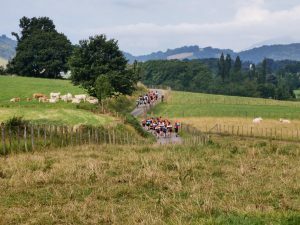 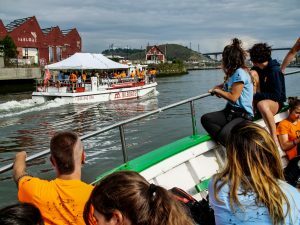 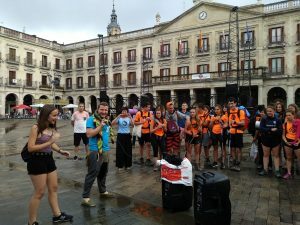 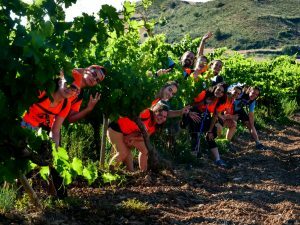 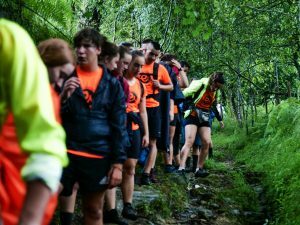 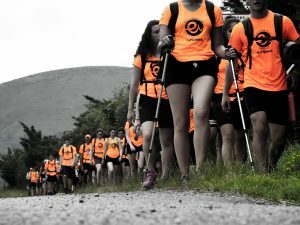 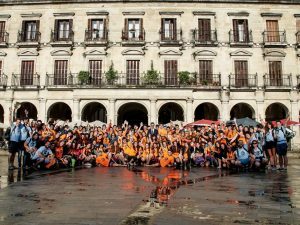 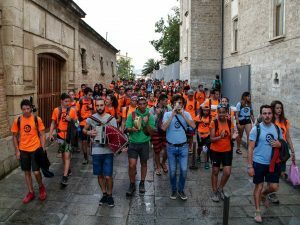 EuskarAbentura is a walking expedition that will take 121 boys and girls between 16 and 17 years old from both the seven Basque territories and the diaspora to explore the Basque geography and learn about our culture and history. 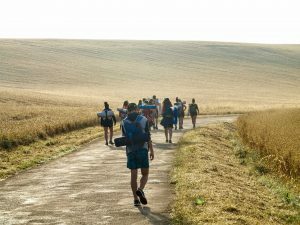 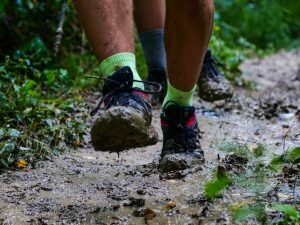 From July 1st to 31st, they will complete 783 kilometers in 31 stages, 483 of them on foot. 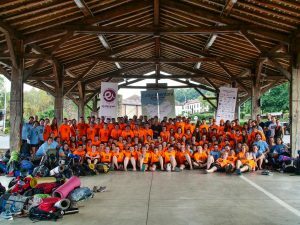 This year’s will be the second edition. 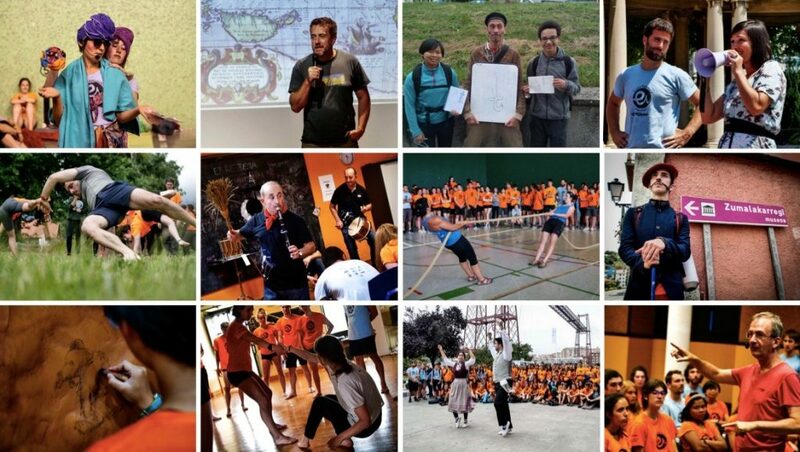 Several workshops and seminars of all kinds will enrich the experience. 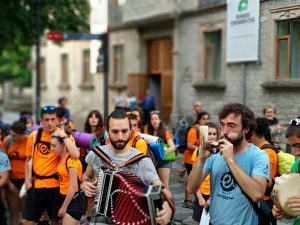 Professionals working in different areas (musicians, sociolinguists, actors and actresses, bertsolaris, journalists, dancers, writers, sportsmen/women …) will now and then join the adventure and share with the youth some hours and many knowledge. 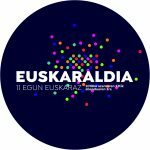 EuskarAbentura aims to mix and put in contact girls and boys from very diverse linguistic, social, economic and cultural realities. 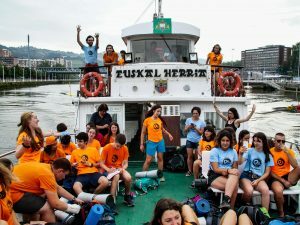 Even for a month, they will experience and live in basque language this unforgettable experience that will take them to know the land of euskara in a broad sense, and always among friends. 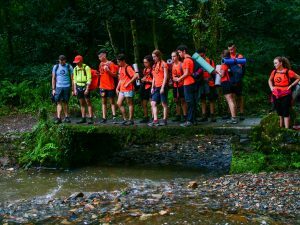 The EuskarAbentura project seeks, in addition, that the network of relationships created during a month will last beyond the expedition. 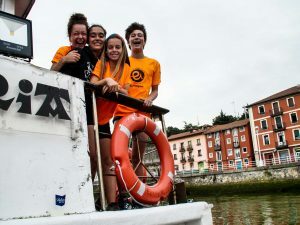 ➢ Promote and normalize the use of basque language among young people. 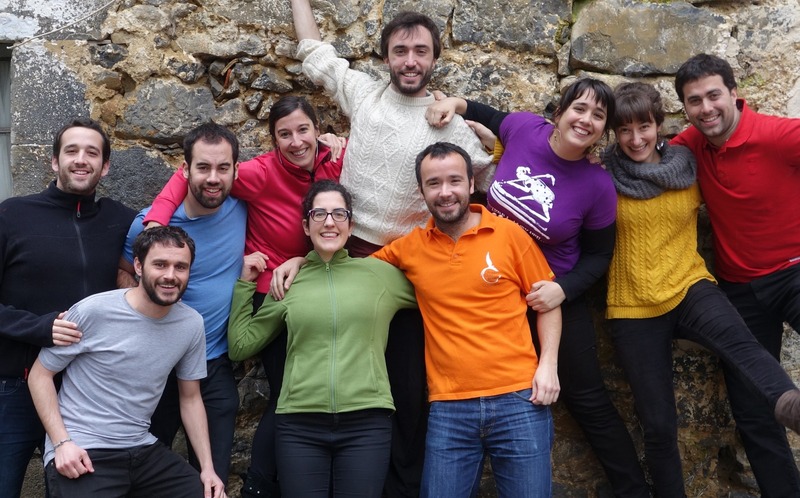 ➢ Create and enrich a new network of young basque speakers. 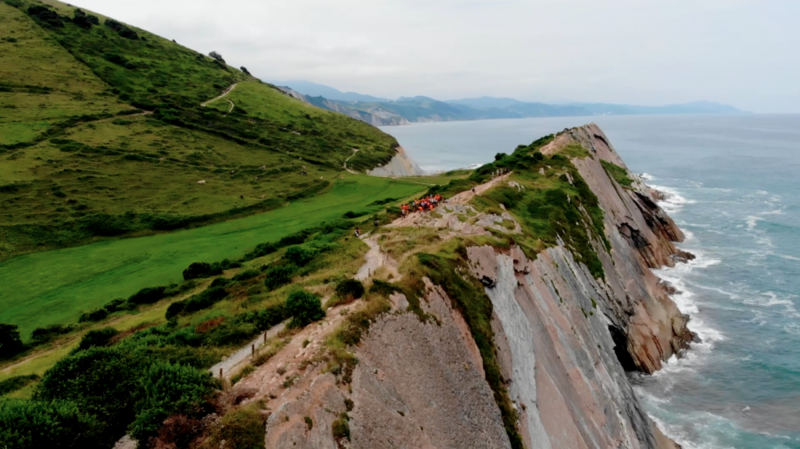 ➢ Guarantee the transmission of the natural, historical and cultural heritage of Basque Country. 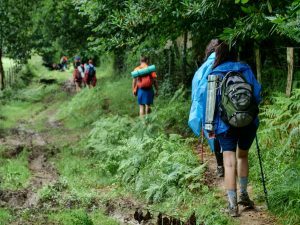 In total, 121 boys and girls will participate in the expedition. 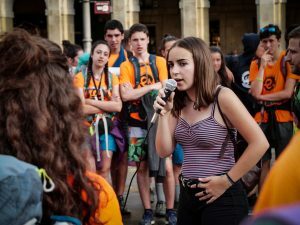 They come from the seven Basque territories, also from the diaspora, and all of them are between 16 and 17 years old, what means they were born between 2002 and 2003. 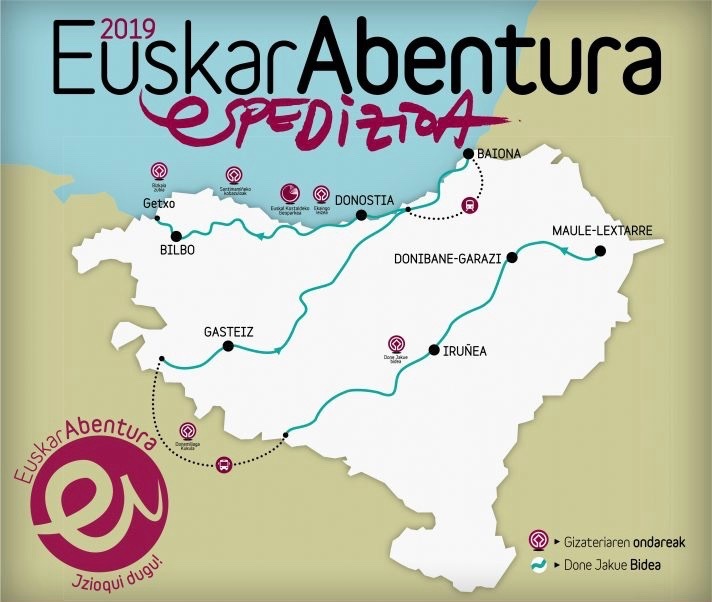 To determine the number of participants coming from each province, the organization has taken into account the proportion of the population of each of these territories with respect to the total population of Basque Country, extrapolating this percentage to a group of 121 people. 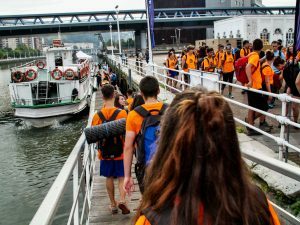 In addition, two places have been reserved for young people coming from the eighth Basque province. 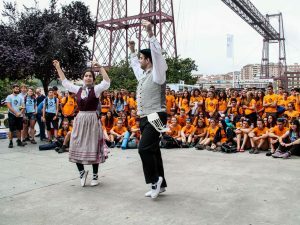 All those who will be jzioquitar have overcome a previous selection process for which they have presented a work and a motivation letter within the established period. 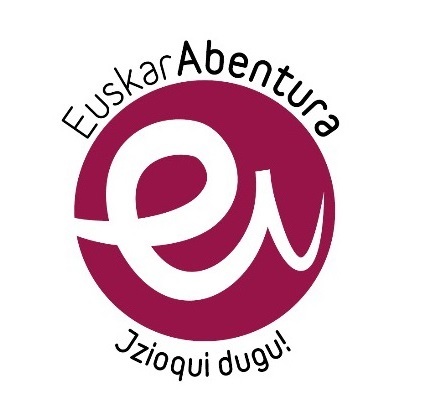 Members of Eusko Ikaskuntza and PuntuEUS Foundation have formed the jury in charge of evaluating these works and selecting the best ones based on criteria of originality, style, technique and quality, among others. 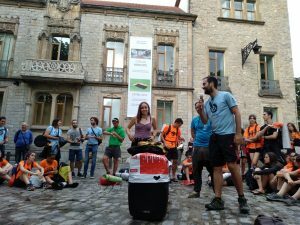 > Maite ditut maite gure bazterrak: Euskal Herria and its ecological footprint. 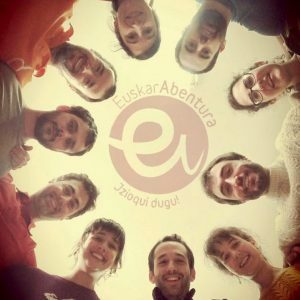 > Errimak eta erritmoak: music, songs, dances, poetry, performances. 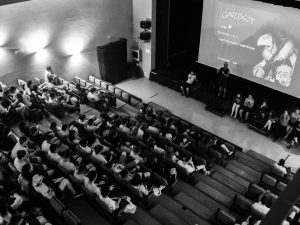 In the same way, they have been able to choose among several formats: Historical, Literary, Audio-Visual, Musical, Plastic or Digital. 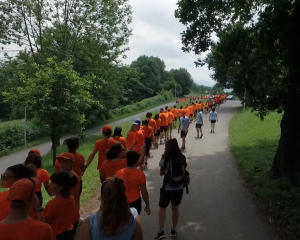 Along with the 121 children, another 30 adults who conform The Blue Family (because they wear blue shirts) will complete the journey. 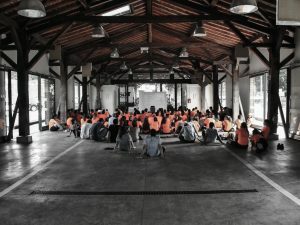 They are leisure time monitors, doctors, nurses, drivers, logists, cameramen/women and journalists. 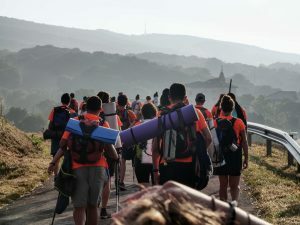 In spite of having previous experience in this kind of initiatives, they will receive a specific three-day training focused on preparing for the EuskarAbentura 2019 expedition, in addition to agreeing and establishing certain protocols and criteria. 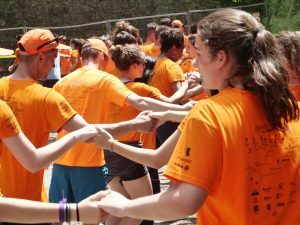 The non-profit association with the same name is the driving force behind this project. 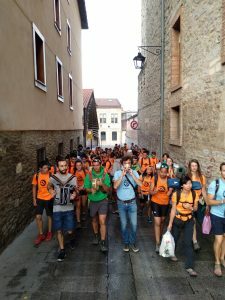 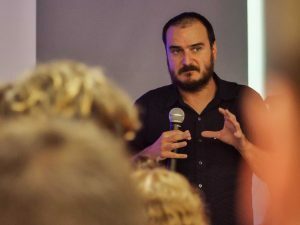 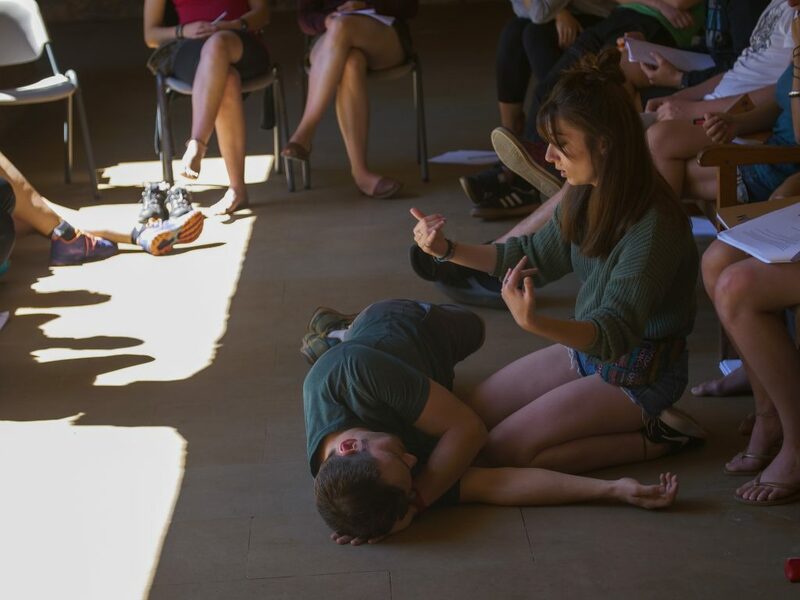 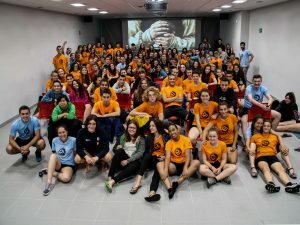 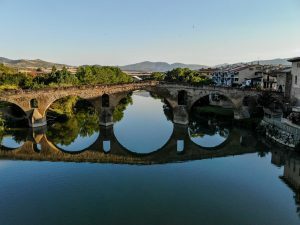 It consists of ten young people settled in different parts of Euskal Herria that for almost three years worked voluntarily shaping this initiative that finally started in July 2018. 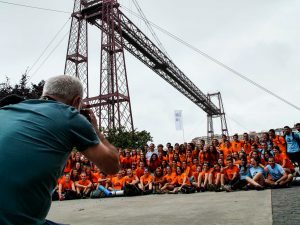 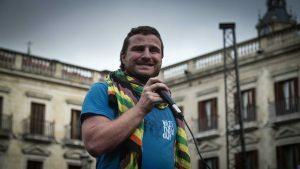 Some of them participated years ago in the well-known Ruta Quetzal, and it was precisely from their memories that the idea of launching a Basque version of that expedition was born.